I live in North Alabama, and would be interested in finding local players. Around 12k on KGS. Just thinking of the question from AnglePlayAfterDiagonalAttachment  Why is bad? Please show an example. Double hane White's Bad shape? 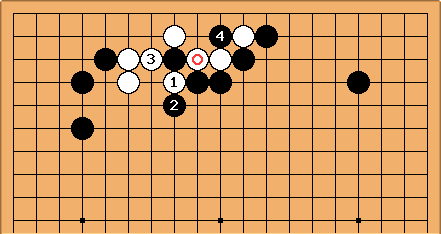 In this diagram the marked white stone is the referred to by the original question. yoyoma - I think is bad. 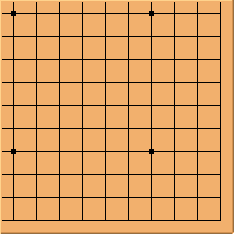 Black has declared outside influence to be important when he played the marked stone. 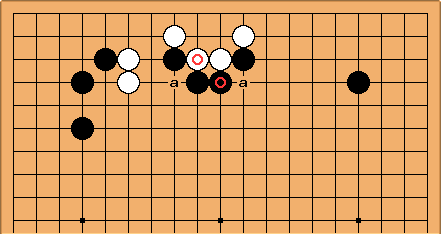 Black should follow up by playing at . 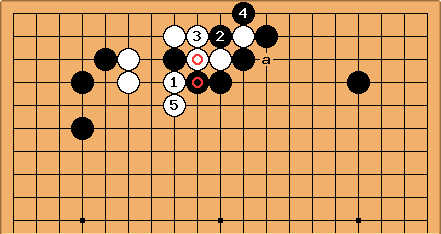 Black has already decided he is willing to allow White to cut at a, in which case Black kills the white stones to the left and White gets a ponuki to the right. 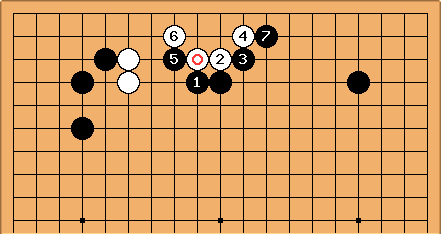 Black continues to play for influence towards the center.